Could Sperm Deliver Cancer-Fighting Drugs Directly to Uterine Tumors? Chemotherapy can be effective at destroying cancerous tumors — but at what cost? Because the medication is diluted in the bloodstream, high doses are required. Then, once in the body, the chemo drugs attack not only cancer cells but also healthy white and red blood cells that fuel a person’s immune system and grow their hair, nails, and vital organs. Every year, 61,000 women are diagnosed with uterine cancer, according to the American Society of Clinical Oncology, and new research is paving the way for treatments that bypass the problem of dilution and deliver the medication directly to the tumor. Mariana Medina-Sanchez, group leader of a team at the Institute for Integrative Nanosciences in Germany, is testing a new delivery technique in which bovine (bull) sperm are loaded with medication and outfitted with tiny harnesses. This concept of delivering medication right to the tumor is not new. Other researchers have been investigating using stem cells, bacteria, and other carriers to deliver drugs. However, unlike bacteria, sperm are unlikely to incite an infection or immune system response. Also, sperm propel themselves and are uniquely suited to swim in a woman’s reproductive tract. In addition, Dr. Medina-Sanchez told HealthCentral in a phone interview, “the sperm has the ability to fuse with somatic cells to deliver the drug at the sub-cellular level, avoiding dilution of the drug with body fluid.” The sperm doesn’t just get the medicine to the tumor; it takes it all the way inside the cell. And if you don’t have to deal with dilution of the medication, then doctors can use a less of it. And if there’s less chemotherapy, there’s likely to be fewer side effects as well. So, the sperm cells are motile and swimming around in the system, but how do they find the tumor? This is where the iron harness comes in to play. Dr. Medina-Sanchez and her team control the sperm with external magnetic fields that drive the sperm and harnesses to the target. The sperm are the motor and the carriers of the medication, and the researcher or doctor is the driver, controlling the sperm-hybrid’s path and destination. Seth M. Pollack, M.D., of Seattle Cancer Care Alliance has particular expertise treating uterine sarcoma, a rare type of uterine cancer. He says the first step of treatment is usually to surgically remove the tumor, but sometimes doctors are unable to remove it all. Chemotherapy is controversial because there are not enough patients to conduct statistically significant randomized trials. How did Dr. Medina-Sanchez and her team decide to try using sperm to help treat gynecological cancers, like cancer of the uterus? It started in 2009 when the institute’s director, Professor Oliver G. Schmidt, Ph.D., who had been developing micro tubes powered by catalytic reactions that created bubbles to move them forward, came up with idea of using sperm for propulsion. In 2016, the team was able to transport immotile sperm in a petri dish using magnetic fields. Years later, they’ve tested this sperm-hybrid system in the lab. But when will this treatment become standard in humans battling diseases like uterine and cervical cancer? The researchers still face a few obstacles. One of the biggest remaining questions is: What happens with the itty-bitty harnesses when they’re released and left in the patient’s body? Currently, they’re made of a polymer material coated with a thin film of iron. Dr. Medina-Sanchez and her team are working on replacing the polymer with a biodegradable material. Second, in order to navigate the sperm to the tumor, researchers need to be able to see inside the woman’s reproductive tract. This could be done with an ultrasound, magnetic resonance (MRI), or an infrared system, but the current resolution of these systems is not strong enough to see the tiny micro models they’re dealing with. The researchers can’t drive the little swimmers if they can’t see them, the road, or where they’re going. They’re currently looking to find a better way to track these models in real time. Third, the researchers have previously worked to direct one sperm at a time, but with larger cancers and tumors, they’ll need to transport multiple sperm to control the dose of the drug. When these problems are addressed, researchers will need to ensure the system will work on animals, and then humans. But someday, these little swimmers with their little harnesses could be the latest fighters in the battle against uterine and other gynecological cancers. What Are the Treatment Options for Endometrial Cancer? What Are the Warning Signs for Endometrial Cancer? Uterine cancer is one of the most common gynecological cancers. 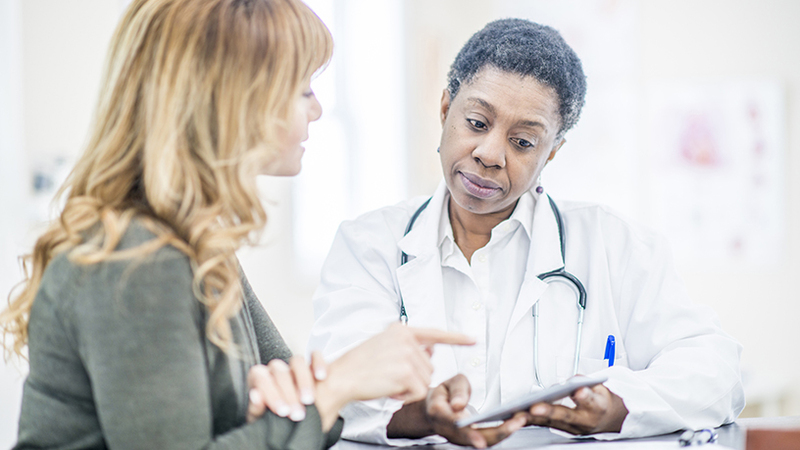 Learn about your risk factors, symptoms, and tips for lowering your risk of uterine cancer.